Start first by frying up the bacon. It can cook while you do the other steps. Wash and tear the lettuce and spinach into small bite size pieces. 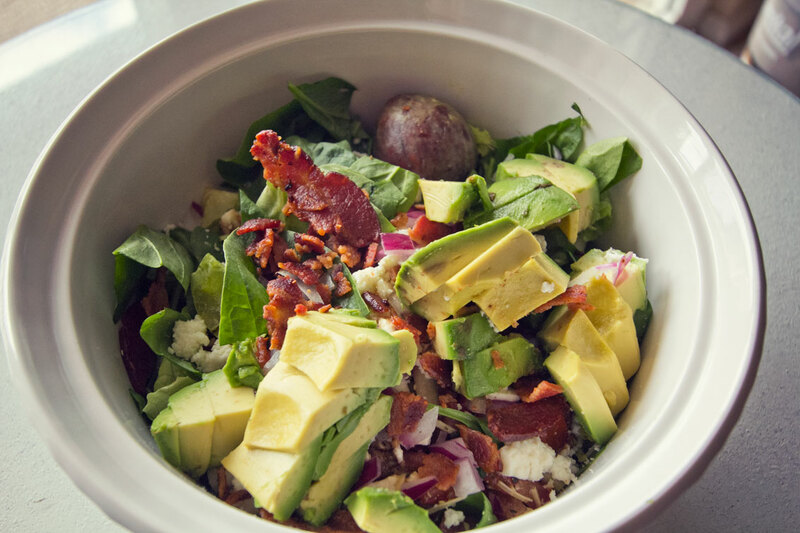 Cut up the avocado, olives, & red onion into small or big chunks depending on how you like it. When the bacon is done dab it with a paper towel to soak up excess grease. Crumble/crush it over the salad. Don’t add anything you don’t like. Try things that you think you don’t like. Add grilled chicken if you want more protein. Avocado goes brown (oxidation) quickly, it’s still good–but you can prevent the discoloring by leaving the seed/pit in the container. 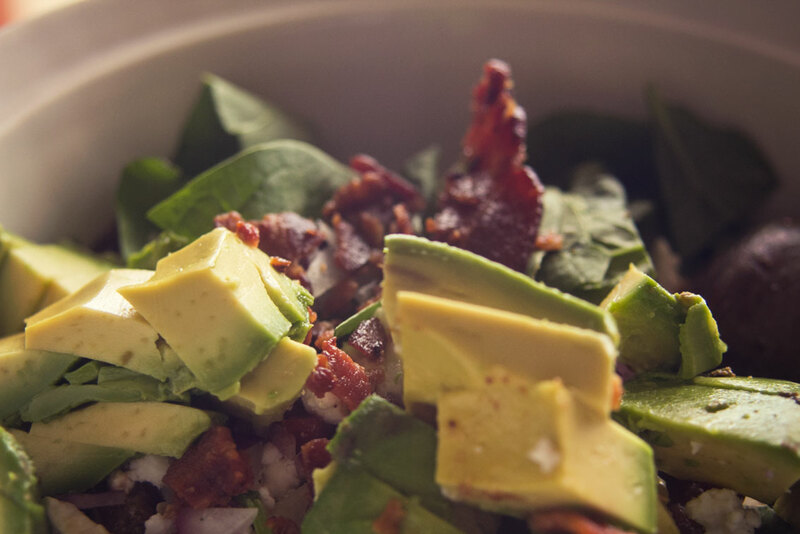 The less dressing you use the healthier this salad remains. We hope that you are enjoying the Bachelor Cooking website–visit often, there are new recipes being released often.